Best Reasons to Use HTML5 For the development. HTML5 sounds like the best boon for a company to transition their web development from HTML 4 to the latest one easily or it can be a curse that disrupts the whole web development and bring the company down. Since the HTML5 web development is still work in progress, many think that this is not the best solution or a new translation the need for the companies web development. HTML5 gives access to high-level functions which make makes the most used for the web development and is already seen across all the websites whether the device is a mobile or a laptop or just any other screen. This latest version of HTML is used to create websites that are accessible for the semantics and AIRA features provided by HTML5. Through this article, letters have a look of those best reasons that make HTML5 to be the technology for web development. You can also hire html5 developer for the work. HTML5 is the best solution to develop various mobile apps and mobile websites because it provides various readymade and easy features to develop and provide the application regarding mobile development pretty easily. Is taking over the world the laptops or the computers may be outdated but mobile is definitely the future of technology, and hence the mobile app development would be pretty much needed and HTML5 provides ready to use features, and it is the future. Any website that is being developed has to be adaptable to any web browser being used by the user. 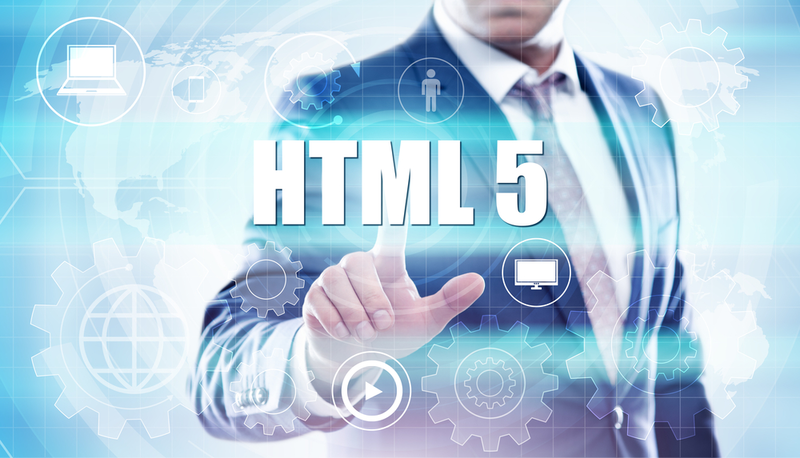 HTML5 doctype feature makes it supportable across a various browser that is available in the market right now which is one of the main features that is much needed because the users are using various types of devices and also many different types of the browser to access the website. HTML5 is not just the best for web development but if you are a person who is developing games then go for this because the Canvas features provided by HTML5 provides the best layout design and easy to use features for the gaming development. If you want a better User experience of the website one should be able to interact with the web page through icon selection of options or input methods are one of the basic features of HTML5. There are a lot of API's that support the dynamic web application. Drag and Drop (DnD), Offline storage database, Browser history management, document editing are a few of the API's that provide the user with animated and interactive options. The storage feature provided by the HTML5 is much better than the cookie and the client side data saving. The data can be stored across multiple windows, and one need not fear that the user deletion of cookies will erase the data because HTML5 save the data on the client side. User information cache data and the last loaded application status everything is stored locally by the HTML5. HTML5 provides a better organized and simple view of code through its removal of multiple headers replaced by simple ones giving an optimal presentation look for the code. Code separation from semantic and description is done properly, and cleaner version of the code is available. 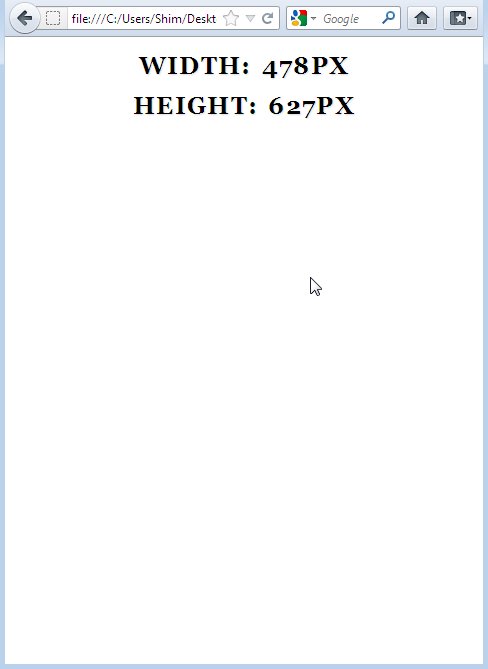 Doctype of code established through HTML5 is very simple and direct to use. This is supported by all web browsers too. No need for long lines of code to be written to mention the doctype as needed for earlier versions. To have the audio and video files to be embedded and for them to work properly is almost a nightmare earlier. But now it's no more as HTML5 makes the audio and video files to play correctly and easily accessible with tags provided. It's pretty simple to add field just by a couple of lines of code by using the attributes. Easy content access of website is enabled by the semantics and AIRA features of HTML5. The new headings allow readers to easily access the content. This eliminates long lines of code and also gives a good look and better experience for people who use them. HTML5 is the future of web development, therefore, embrace it and simplify for better look and performance of your company website. Denny Kelly is a Marketing Manager at AIS Technolabs which is Web design and Development Company, helping global businesses to grow. I would love to share thoughts on react native web and Game Design Development etc. 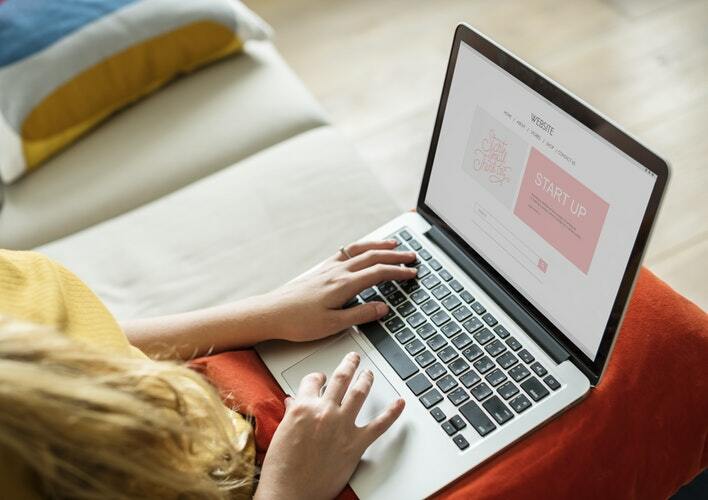 If you want to create your showcase website or redo an existing website, here are the 5 tips for creating an efficient website optimized for SEO. what are your customer targets? What offers do you offer and what do they have of specific, who are your competitors and what do they offer? This analysis will allow you to identify active competitors on the internet who are among the first in SEO. By studying what they did, you will better understand how to reference a website. If you're doing a website redesign, with Google Analytics, analyze your traffic. How many visitors a day, how long do they stay on the website, what are the most viewed pages. Therefore, set goals. 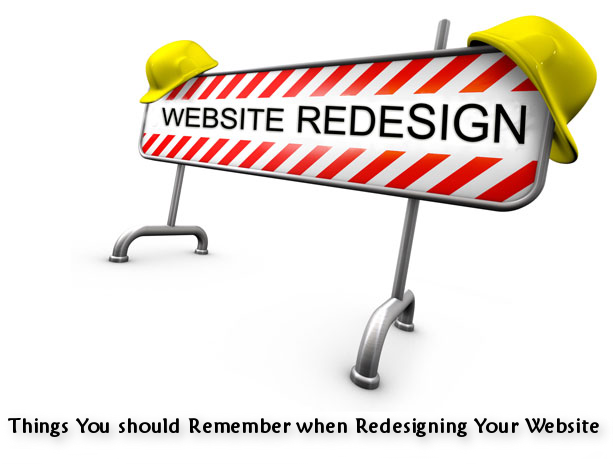 In the creation or redesign of the website? In the purchase of images? has your website created by a web agency? Take the time to choose your partner: communication agency, freelancer, web designer, the solutions are numerous,and none are perfect. The brief and your budget analysis will allow you to compare the proposals on an objective basis and to understand better how the proposed rates are calculated. Buying a domain name is done through a registrar (OVH, Gandhi, Amen). The registrar is an operator who manages for you the availability of domain names and their attribution. Buying a domain name represents a cost of around € 15 to € 20 per year. If you go through a web agency, make sure that the purchase is made in your name and that you own the domain name. If you use a website creation software, the purchase of a domain name is generally included in the price of the subscription. We are talking here about keywords. It is essential, from your marketing strategy, to define all the keywords and phrases that best define your business. If you go through a web agency, make sure that this work is integratedinto the quote and, when creating the showcase site, require the delivery of your full lexical field (all of your keywords ranked by priority). how to find keywords, or place the keywords on a website. The quality of your showcase website depends largely on your images and your texts. 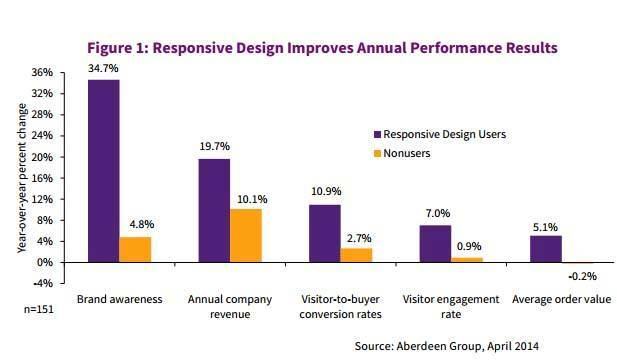 When a visitor reaches on your website, it gives 1 to 2 seconds maximum, before deciding to stay or go out. So you have to catch your eye immediately. Images, photos, videos play this essential role because they carry a message and contribute to the design of your website. Choose them with care, prefer photos with characters, be exact on their quality. What kind of Designing Consistency Challenges are Faced When You Start Designing Any Website? Every designing choice that you choose is going to have significant influence on every online website viewers in every one or the other ways. How you choose to design your website defines how long you can keep your viewers intact. Every time its people who choose to visit your website for the first time, will definitely leave a huge impact on your designing styles that will further help you decide your designing styles. However, viewer's response towards your website designing style is what makes you renowned among other brands that lets you define your organization and years of achievement. 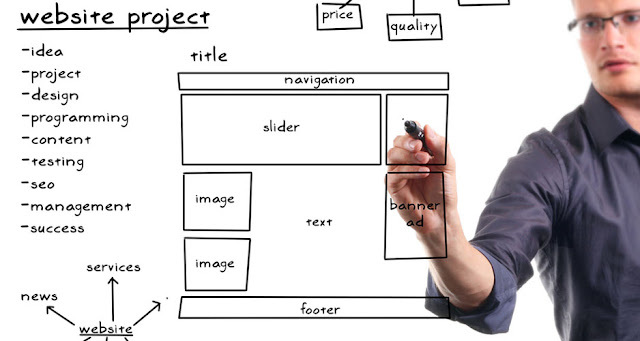 Our next step defines various checklists that might affect your web designing styles. One way to achieve it is by keeping a proper track on whether websites that users view are actually consistent enough to engage them for a long time? Taking a step towards a proper step to design any website will surely benefit your process of designing styles. • Typographic navigation procedure across the web page. • Convey a consistent information through various website images. • Maintaing a single image size across the website efficiently. • Colour consistency level across your whole webpage. • Proper Icon and button consistency placing methods. • Initiating same icon across the webpage. Above are few points that every web designer should consider while designing any website. 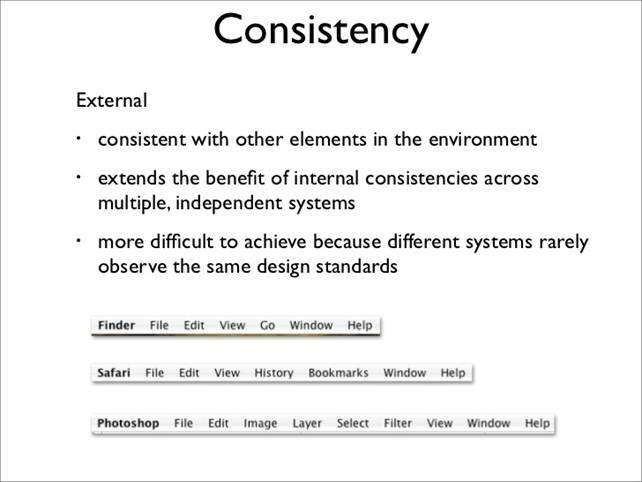 What kind of consistency challenges are associated while designing your website? Well, maintaining your web designing consistency is extremely an important factor to be taken into consideration to avoid any kind of consistency issues by initiating users to understand about your website goals. Almost half of the web designer fails to develop a professional web designing consistency level that is highly important for attracting more and more online viewers to promote your website as well as for promoting your brand power. So what kind of consistency challenges you can face in terms of web designing process? It's quite an usual thing that most of the viewers might get distracted from any website page that they are viewing. One of the key reasons for this is, sudden changes that are made into your designing styles for your websites to match the current market trends and as a result it often leads to loosing your brand name. 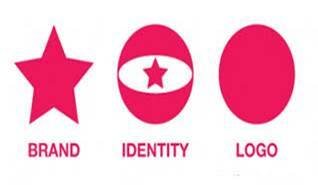 level to promote their brands and websites. To acquire all the web designing consistency features, it is necessary to keep your website contents updated everytime to increase the traffic of your website in various search engines. Solution: Such challenge can easily be overcome by working with wide range of web designing styling guides. But yes this is also true that frequent website content monitoring process can be highly beneficial for maintaining any website's consistency level. Maintaining high quality content on your website can sometimes be a challenging task. 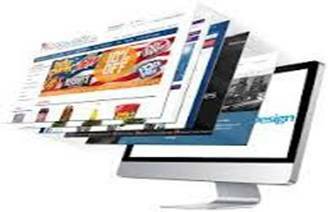 Designing consistent websites plays a vital role for promotion of your newly developed brands. Adding new events and fresh designing styles will initiate a unique platform for every viewers to stay on your website for a long time. Why designing consistency is important for developers? Color consistencies for your website designing throughout your website plays a vital role. Every web designer should follow a proper layout patterns as well as proper navigational process throughout your website designing patterns. Working with advance and enhanced web logos defines high website designing consistency levels of website. Working with proper icons help users learn about your website easily. •It describes regarding advance web designing consistency guidelines and standards for different types of products to ensure high designing consistency rates of your websites. •Offers a deep understanding of basic templates, style sheets, designing rules and various designing methods. •Every web designer should concentrate on reading an entire style guide document before working on any website projects. • Website's screen information must be short and relevant. • Should be able to convey users about various products easily. • Apply minimum keystroke effort on your websites. • Should be easy to understand your website content. With the promising and effective experience Samuel Dawson has contributed a lot in website design and develpment industry. He has been a great developer who loves to convert website to WordPress files in Rochester, USA. He shared a significant content above on the visual consistencies that are faced during web designing. As a matter of fact, there is no shortage of WordPress plugins. There are hundreds and thousands of plugins available to choose from. 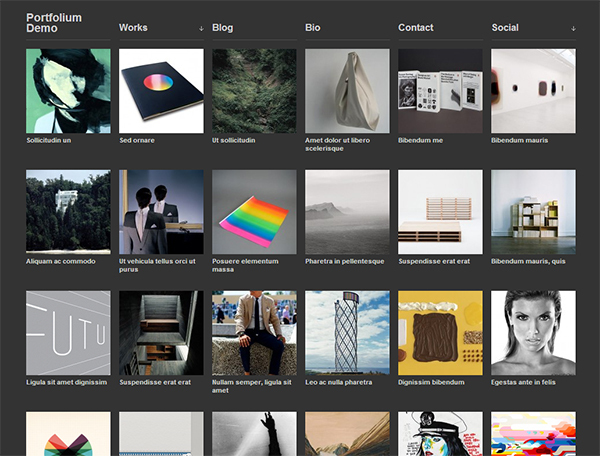 And Photo gallery Wordpress plugins are no exception. All the photo gallery WP plugins offer features that improve your way of showing images on your site. However, with the so many options come the difficult to choose the best. Therefore, we have compiled a list of top 3 best and feature-rich photo gallery WP plugins to help you choose only the best for your website. NextGen Gallery plugin comes with its own user-friendly user interface along with its own separate folders to save your images and database tables. Since it has so many features and options to offer, the user interface may look pretty complicated for the beginners. However, when you get a hang of it, you will find adding and deleting images and galleries a child's play. NextGen Gallery also puts up a button in the visual editor to make it easy for the webmaster to add galleries and images. WP Canvas is yet another popular photo gallery plugin available for Wordpress users that simply expands the default use of WP galleries. With this plugin, you can expand to integrate more size, caption and other options. This plugin allows you to show a gallery in different formats including a carousel, a slider or a masonry format. These are by far the best photo gallery plugins available for Wordpress users. Hope you like it! Emma Watson is a WordPress Developer by Profession and Writer by Hobby. She Works for Wordsuccor Ltd., Providing Wordpress Plugin Development Service to global clients. You can connect with her on Google+, Facebook, and Twitter. How To Troubleshoot Google’s Local Ranking Failures? After having put in a lot of time and effort towards building a flawless website, it can be daunting to encounter a fallout in Google’s local ranking. The trauma of suffering from a lower Google local ranking can lead into a reduction in the company’s reputation as a whole. Fortunately, when there are problems, there are solutions as well. The same goes for reduced Google local rankings as well. Being familiar with the steps for troubleshooting this issue, you can easily combat the local ranking failure for your website. So, without letting you wonder anymore, let me walk you through a tutorial that will outline the steps that can turn beneficial when it comes to troubleshooting a website’s falling Google local ranking. As the first and foremost step in troubleshooting low or lost Google local ranking, you must gain an instant access to reports that contain a collaborated list of issues that might be present in the website. Look out for any unresolved bugs that might be interfering with the Google local ranking of your website. Talking about mass issues, the thing that you need to discover is whether a single issue is causing your website’s Google local ranking fallout or whether there are a number of issues causing the problem. You can start discovering this by visiting the Google and Your Business Forum where you can search for the problem you’re experiencing with your website. If you detect multiple threads reporting your identical issue, right from the time you’ve been encountering the problem, then there are good chances that a specific bug or a recent Google update might have been the reason for the problem. Once you’re clear on the issue, you can re-access the forum for related solutions that have been provided by experts. One of the most significant reasons behind a lower Google Local ranking is a possible violation of Google’s quality guidelines. So, if you’re a bit dicey about having violated any Google standard, then it’s better to go through the Google Places Quality Guidelines and check out whether your website follows each one mentioned here or has violated anyone of the rules mentioned here. Check whether mistakes have been made in relation to the naming of your business, phone number, address and other related components. Remember, breaking even a single Google rule can cost you a lot on your Google rankings. Hence, be sure your website hasn’t violated any of these rules. Excluding multi-partner practices like law firms, hospitals, restaurants etc. every business is allowed to have just a single Google+ Local Page per location. If your business website has more than one Google+ Local Page, it is likely to cause a lower/lost Google local ranking. While sometimes, duplicate Google+ local listings are created intentionally, there are times when they are built by spammers for undertaking hazardous manipulations. In either of the cases, duplicate local listings can cause a considerable harm to the website under focus. Components that allow you to detect local listing duplicates include the name of business, address, phone number, product/service categories and product/service descriptions. Even if you find it challenging to detect any variance, it is better to check your website for duplicate listings, especially if your website is facing local ranking issues. Is your website optimized for the local search engines? Do your website’s title tags contain related keywords? Does your website feature clear and crawlable navigation? Do Google Webmaster Tools indicate 100% crawling of your website? 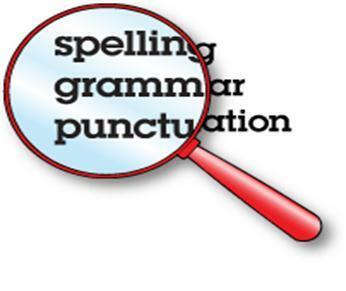 Does your website look professional or is it full of spelling and grammar errors. So, these were the 4 basic steps, which if followed seriously can allow you to troubleshoot the lost/low Google local ranking for your website. I’m sure you’d have found these steps easy-to-follow. Don’t forget being friendly with Google means a greater customer base. Hence, make efforts to ensure that your website is in sync with all the standards that form the basis of a well-defined search engine friendly website. Please don’t forget to share your views/opinions on the above post. Edword Jones is a web developer by profession and a writer by hobby and works for OSSMedia Ltd a leading Custom Joomla Development company. He loves sharing information regarding Drupal, Joomla, Magento and Wordpress development tips & tricks. If you are looking for Joomla Developers for Hire then just get in touch with him. Bells and whistles – you’ve managed to fill every page of your site with these. Intricate details sit and stare back at users, site visitors, even to those inanimate bots. Let’s assume you haven’t forgotten to do the same kind of pampering with your content. Wait... what?! You did forget. Frankly, you are not alone. A whole bunch of other SEO folks out there (you know who you are) neglect to integrate content in their daily duties. Sure, there are wide ranging SEO techniques waiting to get implemented, right? But that doesn’t mean you can’t treat content with the same scrutiny and confidence. Content makes the bulk of pages and multiple sites. It is your primary offer to the unsuspecting net user. It’s not that accurate keywords aren’t working anymore. It’s just the trend and the undeniable direction search engines have been prepping for. Most search engines have started to anticipate the coming of human-form search queries: question-like statements. Long tail keywords support this type of statement queries. Search engines are adjusting in line to this anticipation; it’s time for your content keywords to catch up. It’s safe to assume that what you’re giving your users is unique. But really, it is no longer safe to think so. In fact, to truly reach the peak of the content’s potential, it is important to assume otherwise: that the rest of the content curators out there are giving the same piece of advice. Then what? Go act on this belief. If it were true, perhaps, you must study how others have been delivering the goods. If you are planning to give the same piece of advice, think of a different approach to presenting it. Then think of things that you can add in the mix: humor, insider’s tip, so forth. Investing in good texts – with zero grammar or plagiarism errors – is an established ingredient for helping SEO pros boosts their sites. But that is not the end of it. Content wordsmiths can do as far as adding videos, infographics, and thought-provoking images. These extra sweets need to be relevant; otherwise,they only risk creating unhealthy distractions for your viewers. Also, try to create uncanny connections, like a Pokémon Psyduck (a symbol for dilemma and headache) plus a nagging issue. These kinds of connections don’t just reflect clever bouts of awesomeness; it also makes viewers laugh – a better substitute to a yawn-inducing piece of crap in front of them. Creating powerful or compelling content is a challenge in itself. This is one sufficient reason to stick and work for it. This kind of attribute sits well among SEO pros, particularly, those who love challenges. 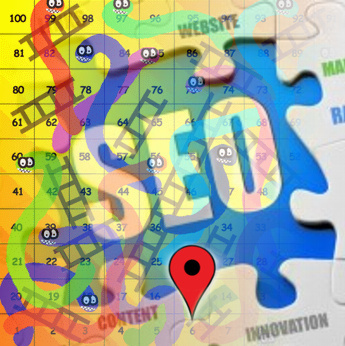 Ultimately, content is part and parcel of the most fundamental SEO techniques. That being such, there are no incentives in ditching it. So, why ditch it? Authir Bio: Hi I am Chris Johnson, an expert-level blogger with a blogging experience of 9 years. I tried several different niches (like business, finance, sports, health). Yet, I chooses to settle mainly for his favourite: the Education niche. A responsive website means It will respond to your browser sizes or I can browser stretches. The basic idea of it is to give optimal viewing experience to visitors, nowadays you will rarely see a unresponsive website. If you remember a Jquery snippet I posted about detecting browser real time size It is also responsive. So basically in order to make websites responsive on load you need a meta tag that helps you to stretch/resize the elements of your website but It's not required for this tutorial. 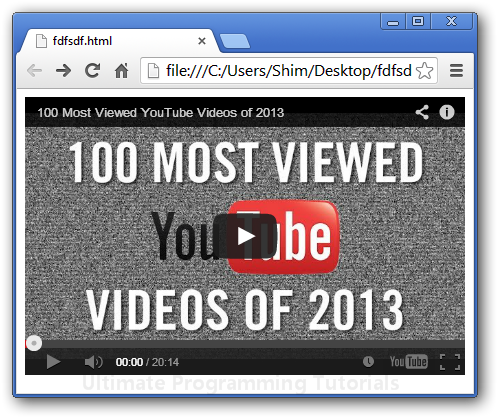 So for this tutorial, only videos with iframe, embed or objects works. You can get the iframe code of any videos from popular websites like YouTube, DailyMotion, Vimeo, MetaCafe etc. 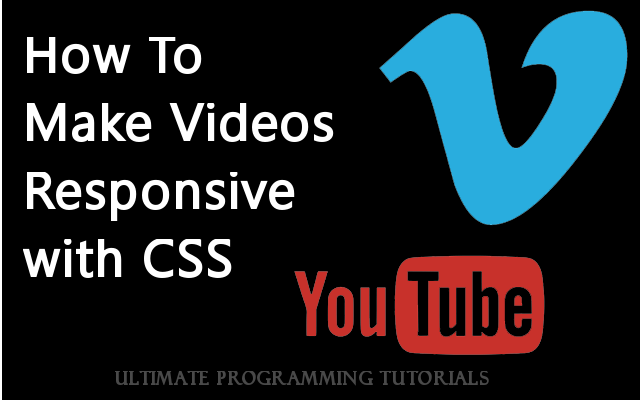 If you're using Blogger or Wordpress you can just add the css code within the body and whenever you post a video in your post you can add the embed code within the div class. Just like your body, you need to give your business a good shape in order to entice more customers, thus giving your company the chance to grow. There are many ways in which you can improve your digital marketing campaign system. It's time to gear up your site and get it into shape. I want to share to you the 3 digital marketing tips that will certainly revamp your website and help you achieve your marketing goals for 2014. Here are 3 digital marketing tips that may help you in shaping your business and keeping it on track. Analytics is the complete data regarding the statistics of your website. It is important for a business owner to track down the analytical data of his website. There are various websites which offer analysis of a site and allow its owner to know the different important data about his site. Knowing them can the owner of the business a lot because they will see if something is wrong about their website. An example is that when the owner observed that the traffic is exceedingly going down, maybe there is a need for him to create blogs to other channels that will redirect it to his or her website. Other than that, problems with social, search ranking, mobile, etc. may also be known by Analytics. Giving efforts for your business to grow is vital. You need to offer your time for advertising and marketing so that more and more customers will come and purchase your product. But all of these efforts will be useless if you don’t have focus. You need to know who your audiences are and who the potential buyers of your product are. For example, you are selling dental supplies. Your qualified leads (people who have the intent to purchase your products) are dentists or dental students. Why would you want to advertise these things to engineering students? Therefore, when marketing or advertising, be sure that you discuss the information about your product on potential buyers and not just for any people out there. If the qualified leads are high, then there will be more sales for you. Putting something on your website doesn’t mean that it is already good. It should do something there and not a just a piece of thing standing on your site. An example is the contents on your site. Having high-quality contents in your site is an advantage for your marketing strategy. If you have content in your site that is not essential, it is best to change or remove it completely. 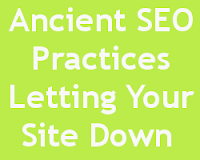 It will just disappoint your customers and they may think that your site is not reliable. This is also true, especially if all of the things on your site are not right. You will not gain their trust and therefore more and more customers will stop from subscribing your product. I hope these tips help you in achieving your marketing goals! This article is written by Dorothy Matthews. Things change. Businesses change, directions change, audiences, trends and attitudes change. As the face of your business or service, your website is the window through which your clients experience you, and as such, if it doesn’t adequately reflect what you or your clients are after, then you’re out of the loop. This is true if you’re looking to design your fledgling website, or if you’re looking to update and re-haul your existing site. The list of tips below should help website owners – new and old – know what to look for when giving their online presence a facelift. First, what’s the purpose of your website? Why is it out there in the first place? Find the essentials, and convey them in a clear mission statement. If your website is clogged with meandering information and distracting tangential stuff, there’s no way your clients will be able to easily figure out where you want them to go. If your purpose isn’t easily noticeable, it’s assumable that you don’t know your own purpose. And if it’s overused, it seems weak and unconvincing. But with clearly designed, easily navigable website design that brings out your purpose clearly, simply and concisely, you’ll be onto a winner. In combination with consistent, well chosen color themes and font choices, your site will present purposeful content and clearly understood images. Know who your target audience is, and speak to them on the same level. Don’t dilute your site with self-promotional flattery – write from the point of view of your audience. Why should they take the time to devote their attention to you? What’s in it for them? And to make it a lot easier, don’t saturate your writing with overly technical, ridiculously complex jargon and babble. Speak simply. Take the time to do your research; look around at your competitors’ websites, and take notes on what you like and don’t like. Explore their sites as if you were a potential client, and your pointers will direct you well. Copy is super important, and so is choosing the right kind of writing for your site. As mentioned before, you ought to view all the copy on your website as an invaluable resource to state your mission and ideology. However, there’s a fine balance between over- and under-saturated, and you should be careful with how to work it into your website. Search Engine Organization (SEO) is also important – good SEO will keep you high up on related searches and increase your traffic, and it’s important to stay updated. There are virtually hundreds of web hosting packages on the internet that you can possibly selectF from. However, make sure that you scrutinize the fine print because there might be some limitations that might surprise you especially when it comes to data transfers, bandwidth usage and other purported unlimited features that comes with your web hosting services. Build your website with growth in mind – you want it to grow, right? You should add in enough space for extra pages to be added later. And to make your site constantly fresh and relevant, schedule maintenance and content. This will make launching new promotional or marketing campaigns that much more easy. Website design really is a deal breaker – take the time to do it right. If you are reading this article then it is safe to assume that you have a website and you are looking to improve its position on the search engine results pages. If this is the case then the first thing you need to do is perform an SEO audit. 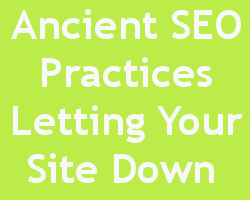 You will have to research into a current template/plan and follow it to check your SEO. An SEO audit is a set of checks that you can do to see how well your website is optimized. It involves checking things such as keyword relevancy and broken internal links. Once you have completed your SEO audit, it is time to start fixing your website’s SEO. 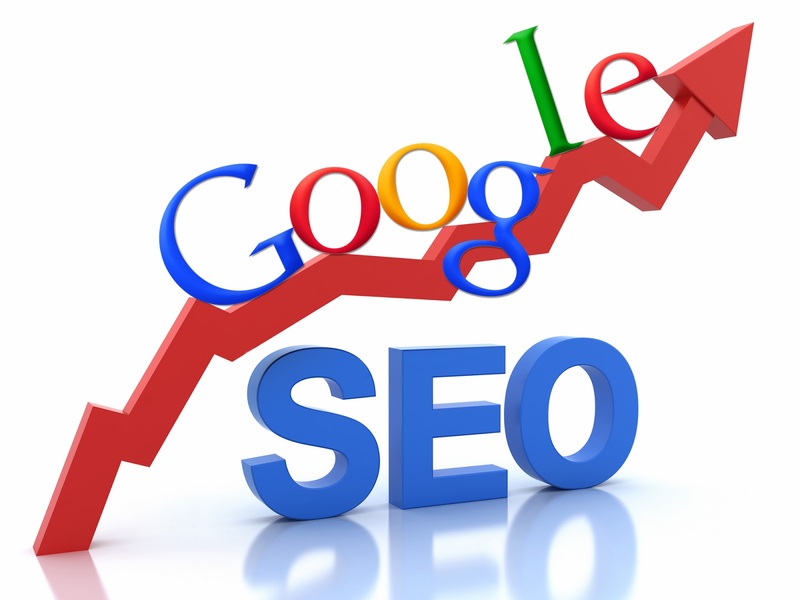 If you fix the SEO problems then you will rise higher and faster through the search engine results pages. Here are a few tips to help you fix the things you highlight in your audit. Is your internal website navigation good, usable and bug free? Your websites navigation needs to easy to use. Your navigation system must be intuitive and must be easy to see. For example, you should make sure that the search bar is at the top of the page, and that any small sitemaps are on the footer. You must have at least three internal links coming from every page, and the anchor text to the internal links should be optimized. For example, you could have a link back to your homepage on every page, and you could call the link “home page”. But why not vary it a little on each page, such as having “back to our Home page” or “Go back to home page”. The navigation should be bug free. In other words, you should be able to click a link and have it take you to the page it describes. The link should be clickable and should never lead to the web page freezing. Are your pages too heavy? Every web page that a person looks at must be loaded onto their computer. Thanks to broadband Internet, your web page should take less than three seconds to load. If it does not then there may be too much to load, and you are going to have to lower the weight of your page. You may have to make images smaller, lower the weight of elements, or spilt certain parts of one page so that it makes two. The longer it takes for your web page to load then the lower you will rank on the search engine results pages. Some people create very good web pages that are very attractive and very salable, but the trouble is that some people (especially those with 3G) are going to have to wait longer for it to render (appear) and load. Some people simply do not have the patience for such things, and why should they? The Internet is so bogged down with crappy content that most pages people visit will be abandoned within seconds. Does your website have relevant keywords within it? This is a tricky subject, which is why it is a good idea to do a lot of keyword research. You need to find out what sort of keywords your target audience are using to search for your web pages. You should also check to see what keywords your competitors use, because they too are aiming to attract your target audience. You should research the correct keywords for each of your pages, since each page is most likely going to differ from all the others. You should use keyword tools to check to see if a keyword is used a lot, but you should also think about keywords that come to your mind. What would you type into a search engine? You also need to be aware of what you would write and what your target audience would write. For example, you may choose keywords such as “X for sale”, but remember that as a buyer, you may actually search for “Buy X” or “Where to buy X”. Try to put yourself in your target audiences shoes and use a little bit of common sense and gut instinct. Where can you get your information from? For a start, you should never take the word of things you read from articles and websites online (an odd thing to say within one of those very articles). The fact is that a lot of online content has not been created by true experts. A large portion of it has been created by people who are making up plausible lies. The rest of it is created by well meaning (but misinformed) fools. There is some very good advice to be found online, but you must take it all under advisement (with a pinch of salt). Your best place to start is with Google itself. They have a lot of tutorials on their Google webmaster section, and even some forum answers from their staff which are very handy. Books are an okay place to look, but you really (really) need to get a book from a company that is highly respected for being correct. There are some books out there that look like they know what they are talking about, but that are filled with misinformation. Try an updated version of the “For Dummies” books. Make sure you go for the updated versions, because the version they printed around three/four years ago is already out of date. For example, social media is hardly mentioned. John Kravz is a representative of proessaywriting.com that provides excellent help on your writing assignments such an critical essay. If you search for it, you can find amazing stuff on Ebay! Here are some of the amazing things we’ve found on Ebay! Joe Di Maggio’s passport! You’ll probably get arrested if you try and use it to fly abroad but for $4.8K it can be yours! If you’ve always wanted to own a ballistic missile base but the estate agents have never been able to find the right one – you’re in luck! We found the former US ballistic missile base in Washington on sale for $750K. Not sure if the seller will budge on the asking price but try your luck. Who doesn’t want to own their own town? We sure would but they’re rarely on sale! Well, we’ve found that a town in Texas called Albert is on sale for $3.5 million, we’d advise you to hurry up as buying a town is quite a popular activity. Lady Thatcher wasn’t famous for having the most loyal fan group but her famous black handbag is on sale for £103K which gives the Hermes Birkin bag a run for its money! There is also a pre-historic skeleton that could be yours for just £61K! If you’ve always wanted Max the Mammoth’s skeleton – this is your chance to your hands on it but be gentle it is quite old! The Internet is full of acronyms these days, and SEO, short for search engine optimization, is one of them. However, it's not just another set of letters that have no real meaning. When it comes to the building blocks of SEO for auto dealerships and their car websites, there's a few specifics that marketers should keep in mind. Auto SEO has a lot to do with optimizing for local buyers. But's not just about a single geographical area. For example, neighborhoods and suburbs are also important. Secondly, consumers aren't just concerned with make and model. As a salesman, you might know which cars have what features, but consumers don't. They might be shopping for an SUV with four wheel drive or a luxury sedan, so don't forget about keywords that describe vehicles rather than just naming them. Lastly, smart SEOs recognize the value of targeting car buyers based on the stage of the buying process. People who are searching for a vehicle are comparing features and look at options, which ties into the previous though. As they move through the process, consumers will want real choices, which your dealership may be able to provide them. Obviously, there's a lot of keywords that you can focus on, but you don't want to try to do everything at once, especially when you're doing SEO yourself. Instead, consider the keywords that will have the highest conversion and focus on that. You can always tweak or adjust your campaigns in the future, but you don't want to spread yourself too thin when you're getting started. The obvious way to avoid low-quality content is to create content that visitors will find useful. Car dealers have a specific advantage because there's so much that consumers don't know about cars. First-time buyers will especially find comparisons and feature guides useful. Plus, a car blog is the perfect way to advise drivers on keeping their vehicles in the best condition for resale. In locations where snow is a concern, dealers can populate their blogs. This content is perfect for sharing on social media, too. An article or image that goes viral brings traffic to your website, and those visitors can become customers. Social media has become increasingly more important. Google counts retweets, shares and +1s when ranking pages in the SERPs. Furthermore, Google shows results from its own social network, Google+, above organic results in the search engine, so it's vital that you promote content from your dealer website and blog on Google+. Authorship is another opportunity of which you should take advantage. When you link to your Google+ profile from your website or blog and place the link of your site in your profile, you've claimed your site as an author. When you post content to your site, your Google+ profile picture will appear next to that content in the SERPs along with links to your profile. This visually separates your content from others on the results page. This is important for salesman because it shows a real person associated with the content. If yours is a trusted name, why wouldn't you want to take advantage of it? SEO is a big task, which is why so many dealers hire on a freelancer or even a team of SEO pros to help with the job. An SEO may be able to see where your campaigns are lacking or provide knowledge gained through experience in other industries. Of course, this comes at a price. Whether you're simply paying cash or spending your time on SEO, it's important to get it right. I write weekly articles for a car blog. 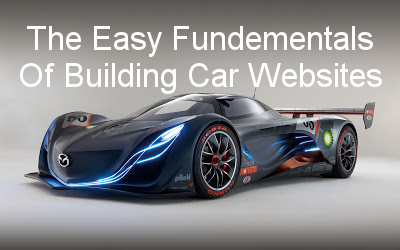 I've had experience with car dealerships and maintenance business websites, as well as car hobby communities. Despite the number of hugely popular search industry blogs available to read, such as Search Engine Land, Search Engine Watch, and aggregator sites like Alltop.com, there are still many SEO services providers and business owners living by old SEO habits and attitudes. To the informed SEO professional or business owner, the dynamic nature of the industry is something to live with and adapt to if you want to be a success.It is no secret that doing today what you were doing five years ago in most businesses isn’t going to work. One only has to look at the opinion many people have of Matt Cutts, Google’s Head of Webspam, to understand why many stick to old SEO practices. It is probably going too far to suggest that some think SEO is one big conspiracy, but there is definitely a lot of cynicism related to exactly what Google’s motives are and what they’re trying to achieve. The people who see Google as a business purely in it for themselves tend to be the ones who stick to the old-school SEO strategies. Some just dislike Google, period, while others have implemented things like Google authorship and seen their search traffic plummet. Although there are likely to be other factors involved, it is human nature to blame what you’ve done differently on any negative consequences. What are these old-school strategies and attitudes people can’t let go of? This problem can be laid exclusively of the door of those SEO providers who still try to rank highly and take out Google advertising for terms such as “Number 1 Ranking in One Month.” Seriously, if every holistic SEO agency or freelance SEO professional could take the money wasted on companies that peddle such messages, the industry would be thriving and the return on investment clients see would skyrocket. SEO is about increasing business revenues and extending your brand reach across the internet, not achieving the highest possible ranking for keywords that might not even be relevant to what you do. How often in life do we hear the words ‘quality over quantity,’ but fall foul to the desire for something we can measure objectively without much effort? The main offender here is inbound links. For years, people obsessed with how many links they could build in the shortest possible time, before Google finally got wise and started focusing on quality links between great content and websites. Still, people continue to build links in bulk believing this is the way, only to then have to spend time getting familiar with the disavow links tool later. There are still websites out there that still promote the myth that is keyword density, despite industry giants such as Moz.com reporting as far back as 2008 that keyword density is irrelevant. Content mills like Textbroker and Hotype are still getting writers to write to keyword density and telling their clients it is important, so it is no wonder this myth persists. If you’re thinking of any of these while pursuing SEO, you’re wasting time and in all likelihood, money aswell. Forget them, and instead focus on the things that can make a positive difference. Danny loves marketing, and although his specialist area is print and radio advertising, he understands the value of digital marketing and that the industry is going to shift more in this direction in the future. Being successful online is sort of a skill in itself. There is so much competition nowadays that it is becoming progressively difficult to separate yourself from the pack. You have got to be proactive and have a grasp of both the market and your own company strengths. If you have this then you will be able to target the correct market and thus make money from what you offer. In addition to the traditional method of creating a website, there are other ways to promote such as social media and emailing. All of these must be explored as well as optimizing your website and securing a strong and memory filled domain in order to ensure that that your site is fully efficient and functional. 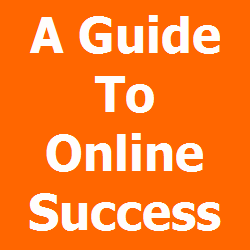 This article will highlight what it takes to be successful online and how there are many options that need to be covered in order for this to be the case. This is of pivotal importance, your website has to be well designed, clear for the user and must work efficiently. To many this seems plainly obvious but there are so many companies out there who create websites for the sake of creating one rather than as a credible way of increasing the prominence and success of their company. We live in a world dominated by the internet and thus it is increasingly important that company infiltrate this market and invest money at the same time. Employing a team of web developers isn't a bad idea, after all this is their job and the can make sure every feature works properly and it is designed in a way that can embrace your company image and ethos. Being successful online is a long term process and you have to have the product and presence to ensure that clients keep coming back. If you are successful in ensuring this, then the likelihood is you will have a fruitful time of it on the web. There are many companies out there that offer domain platforms from which you can create your website, selecting the correct one for the right price is becoming very important. JaguarPC hosting services is one of doing it, the offer large memory and monitoring services for their customers at a good price. The list however is endless, there are so many different companies out there that may suit your needs better so it important to ask around and get what is best for you. Facebook and Twitter are both so popular nowadays and using this as a tool to promote your company website can be a great way to increase your profit margin. Setting up your own profile and also paying Facebook to advertise are bother brilliant ways of raising awareness of what you have to offer. If you are credible about making money online then you have got to raise your company profile and show the world what you can do, above are three of the best and most efficient ways of doing this. Andrew is an author with a love for modern technology, especially the internet. He has a degree in business and writes extensively about both technological developments and business strategy. If you are one of those who love getting celebrity news and gossips as it happens then you should be reasing this article. With thousands of different gossips sites on the web, it can be challenging to fish out the best place to turn with the most up-to-date information. Here are the top 5 coolest celebrity websites with the latest gossips that will keep you updated and in the know on the latest news. TMZ has lately become the go-to place for the latest celebrity gossip. They were the first to report on the death of Michael Jackson, as well as Britney Spears filing to divorce Kevin Federline. With a large staff working around the clock, TMZ is the most frequently updated website when it comes to celebrity news. Not only do they have a website, but also a television segment that airs on E! so not only do you have a website full of the latest information, but you can see the celebrity gossip reporting in action with the numerous members of the TMZ team on-camera telling you the latest news. TMZ has become a favorite among those who want the latest gossip. With its one television network and website, E! is one of the most popular sources for the latest celebrity news. What's great about E! is that they have exclusive celebrity interviews everyday with celebrity gossip. If you want to see the latest celebrity news and gossip in action, you can catch their news segments every weeknight. The E! News website is constantly updated with news and gossip with follow ups to reports found on other websites. The Hollywood Gossip is located in Lighthouse Point, FL and is one of the leading websites for celebrity gossip. Not only do they cover gossip about the most popular celebrities, but they also cover gossip and news about the celebrities who are off the radar and not so popular anymore. With a team of reporters and anchors working around the clock, there is no question as to why The Hollywood Gossip is one of the most popular gossip sites on the web. One of the most controversial bloggers in celebrity gossip, Perez Hilton has fine-tuned the genre of celebrity gossip. His influence of formerly outing celebrities has increased attention on celebrities, with the rest of the media seemingly acting on Hilton's cue. Not only does he report on celebrity gossip, but he also includes his own opinions and input with his famous "doodles" on tabloid photographs. While he may be extremely biased in his reporting, there is no doubt that his opinion will inspire readers to investigate more into the gossip he publishes. Celebrity Gossip is part of the Gossip Center brand, and originally began as a hub for a group of girlfriends to report on the latest celebrity gossip, Celebrity Gossip has grown since it began in 2003, and being bought out by Brand Technologies in 2006. Celebrity Gossip reports on the latest entertainment news and celebrity gossip directly on their website. This article was written by Kate Parkfield. She has been on the editorial staff of one of the most influential celebrity magazines in Africa. She recommends that you visit buzz South Africa, an information website where she often makes her contributions.